A big thank you to Gene Rooney and Deborah for the great service for Blogfest tonight at Rooney's Irish Pub. Gene is selling the place but we may continue at the same location in the Fall. A full report tomorrow. 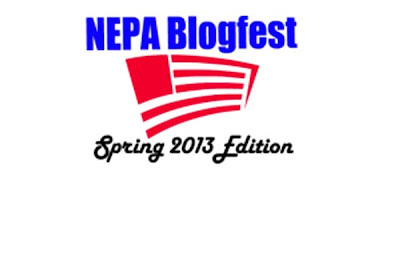 Northeastern Pennsylvania Bloggers will be hosting the 7th semi-annual Blogfest at Rooney's Irish Pub, Friday April 19th, 67 S. Main St., Pittston, PA 18704 starting at 6PM. This is an informal gathering of bloggers, candidates for office, elected officials and anyone interested in politics or blogging. There is no charge for admission. Walter L. Griffith, Jr. announces candidacy for a second term as Luzerne County Controller. I hereby announce that I shall be seeking a second term as your Luzerne County Controller. When I announced in 2009 that I was going to be a candidate for the office of county controller, I made a promise to all taxpayers that I would represent their best interests as an independent monitor of the county’s fiscal activities. I also promised, when need be, to challenge government officials’ funding proposals, to share questionable activities publically and to complete audits in a timely manner in order to maintain the integrity of the county’s revenue and disbursement processes. You, the citizens of Luzerne County, spoke “loud and clear” in 2009 that you wanted an independent and candid overseer as Luzerne County Controller and elected me to work for you for the next four years. The results of your confidence have been noteworthy! In regard to monetary matters in general, accountability has been markedly improved. Specifically, overpayment of contracts have been curtailed, a policy for the fueling of the county fleet of vehicles has been instituted, and employees being paid double for services provided has ceased. As I undertake this election initiative and thereby seek your ongoing trust and support to continue as Luzerne County Controller, please be responsive to requests for your signatures in support of my May 2013 candidacy, and to the extent you are able, please contribute to my campaign fund (details to be announced) in order for me to address all the requirements and expectations of the election process for me to remain in your service. I am so very proud to have been given the opportunity to represent you, the residents of Luzerne County, during this four year term and look forward to your expressed confidence in me this May to remain your Luzerne County Controller. Green Party of Pennsylvania applauds State Senator James Ferlo and Healthcare 4 All PA for persistence regarding state-based Single Payer Legislation. Pittsburgh-area legislator to introduce Family and Business Healthcare Security bill in current legislative session, while Healthcare 4 All releases results of Economic Impact Study. The Green Party of Pennsylvania extends its sincere gratitude to Senator James Ferlo of Pittsburgh for his continued work toward a state-based single payer plan. 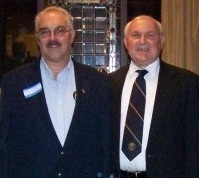 During past legislative sessions Senator Ferlo has been the lead legislator in the Pennsylvania Senate on this issue. The Greens also extend congratulations and appreciation to the non-profit organization, Healthcare 4 All PA, which has worked tirelessly to help Pennsylvanians on a path to meaningful and civilized health coverage. In recent years Healthcare 4 All PA has provided information on the savings single payer offers Pennsylvania municipalities and school districts. Many in the organization have also requested the Pennsylvania Legislature fund a study to determine the impact on the entire state economy, a request that was ignored. So the group, through its own funding, commissioned an Economic Impact Study, conducted by Professor Gerald Friedman of the University of Massachusetts-Amherst. The results, released last week, are significant in the savings for individuals, government and business. In all, Pennsylvania would save $17 billion yearly in health related expenditures, while providing full and comprehensive coverage to all Pennsylvanians. “The Green Party stands in solidarity with those working towards state sponsored single payer health care legislation. We are often critical of politicians for doing wrong, but, Senator Ferlo is right in this case and we support his efforts. We encourage both houses of the General Assembly to work quickly to pass this legislation. Health Care for All Pa's Economic Impact Study proves the economic benefit. In fact, passage of this legislation would provide real economic stimulus for the Commonwealth,” said Green Party Chair, Jay Sweeney. “Various forms of single payer exist in dozens of countries around the world. It is time for Pennsylvanians to have that same healthcare security. If passed, single payer healthcare would be the most significant anti-poverty legislation ever passed here. Also, Pennsylvania workers would have more flexibility in employment, since health coverage would not be linked to specific employers,” suggested Katrina Brabham , Chair, Alleghany County Green Party. “The model is effective, and quite simple to understand. Currently our state wastes tremendous amounts of money on administration, while for-profit insurance companies cash in on complex rules that often deny needed coverage to its policyholders. A single payer plan has one risk pool of 13 million Pennsylvanians, with one administrator. As opposed to the current private insurance system with dozens of companies, offering hundreds of plans; none of which are as complete single payer coverage. Such comprehensive coverage is not available now, at any price,” said Green Party Steering Committee member, Carl Romanelli. If enacted, the Pennsylvania Health Plan would save $33 billion dollars in 2014, allowing for coverage of all Pennsylvanians while still netting $17 billion in savings over current costs. The 3% tax on an individual’s income would provide a lower premium cost for more than 80% of Pennsylvania citizens. Plan would have no additional premiums, deductibles or co-payments. Plan would save local government and school districts 40 to 60% of current costs; more for municipalities or school districts with health insurance pension obligations. Plan would create 120,000 to 200,000 new jobs. Plan would allow patients access to doctors and hospitals of their choice, as opposed to the restrictive limitations placed on individuals by for-profit insurance. Healthcare costs would be controlled and more predictable and prescription drugs could be purchased in larger quantities, thereby saving significantly over current practices. Plan would put Pennsylvania on a path to sustainable healthcare for the future. For example, during the past 20 years Pennsylvania healthcare costs have risen by $60 billion dollars. However, the area of most pronounced growth has been in billing and administration, as opposed to actual improvements in healthcare. Eileen (Pipech) Sorokas of the Miners Mills section of Wilkes-Barre, announces her candidacy for Luzerne County Council. She was born and raised in the Wilkes-Barre Area, graduated from Saint Joseph's Parochial Grade School, Wilkes-Barre Township High School, and Luzerne County Community College. Also, she attended the United Way Union Counseling Program and night classes at Kings College to advance her degree. Eileen is retired from the ILGWU and is in the process of rebuilding a farm in Hunlock Creek, where she raises farm animals and plants seasonal crops. She stays active in various charitable organizations being a member of the Huber Breaker Society(Ashley), AM-VETS Ladies Auxiliary Post 189(Greater Pittston Area), and the Rose Tucker Senior Center(Nanticoke). Eileen has been involved in Governmental functions on the local, state and federal levels, serving on the Democratic State Committee, Democratic National Convention and numerous political campaigns. "I am running for Luzerne County Council as a concerned citizen and taxpayer, to be a voice for all the residents of Luzerne County. I want to bring back dignity and respect to Luzerne County Residents. My Vision is to hear residents say, What a great place Luzerne County is to work and live." "Accordingly, I will strive for honest, responsive, and dependable government. One that understands and serves the needs of the public, which includes, holding the line on taxes and watching how our tax dollars are being spent. Furthermore, I will be accountable only to the residents of Luzerne County. "